More art. Less paper. That’s what our Green Membership program is all about. 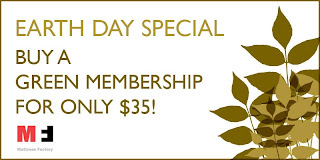 And in honor of Earth Day, we are offering our $50 Green membership for just $35! Yes, it’s still a year-long membership. You still receive all the fabulous benefits. 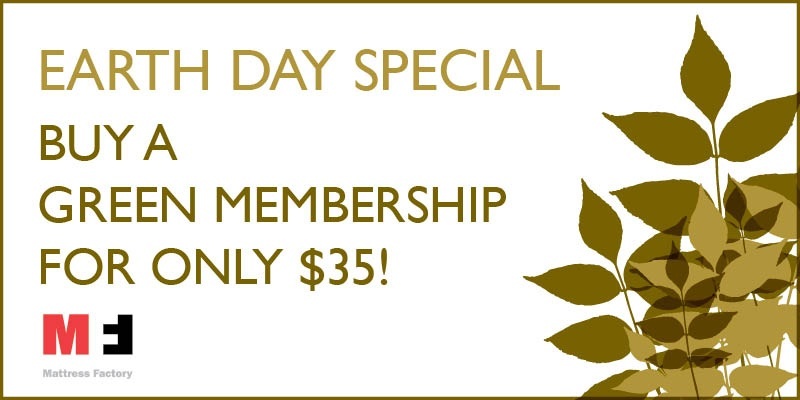 But from now until next Tuesday, April 27, you can purchase this membership for $35. That’s how much we love you. And you have returned that love in spades! MF Green members now make up the single largest segment of our entire membership. Two years ago MF Jeffrey and I created this program by brainstorming the type of museum membership that would appeal to, well, us. We asked ourselves, “What kind of membership program would we want?” And the answer was this: one that was quick, easy, affordable, and entirely paperless. This means that, as a Green member, you choose to forgo ALL printed materials. Seriously. We will never mail you anything. Ever. This also means that all of your $50 (or $35 if you take the plunge in the next six days) goes directly toward supporting the museum. Please consider joining the Mattress Factory at this level today. In doing so, you will be supporting the first museum in the United States to offer a 100% paperless membership. And you can feel good for supporting art and the environment at the same time. What more could you want? - No paper mail. Ever. Your employer might also match your gift to the Mattress Factory with an equal corporate contribution. Check with your human resources office, or you can contact me, Lindsay, at lindsay [at] mattress [dot] org or 412-231-3169 and I’ll ask for you. Claudia Giannini is an arts writer and has been Development Associate for the Mattress Factory since 1995. She prepares written material for grant proposals & exhibition publications, and oversees publication production. She holds a M.Ed. in Museum Education, and M.F.A. in Visual Art and is a practicing artist. This was her first trip to Cuba. Cuba has a long history and its story can be read in its architecture. Columbus landed in Cuba on October 28, 1492 and settlement began in the 1500s. The Spanish built forts in strategic places on the coast out of blocks cut from coral reefs. It’s fun to pick out the shell forms in the walls. These fortifications, built for strength not looks, are in remarkably good condition. 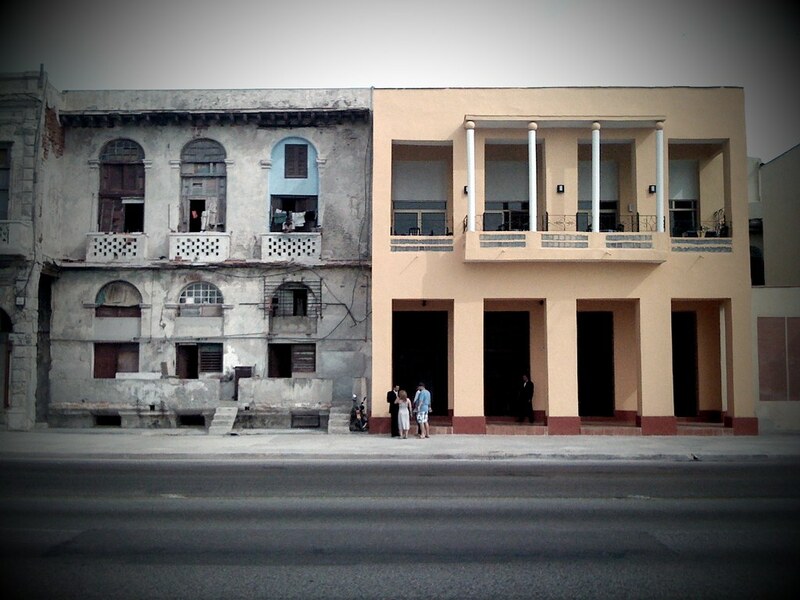 Because there has been little development, Cuba’s buildings are like an architecture textbook in 3-D. Domestic architecture modeled on Spanish palaces built around a central courtyard began in the 1600s. Many buildings—like our hotel Palacio O’Farrill—combine elaborate Spanish Baroque, Roman-inspired Neoclassical, and Art-Nouveau/Art Deco. In the last seven years, a lot of restoration of the colonial-era buildings has taken place in Habana Vieja (old Havana), which is a UN-designated World Heritage site. One is struck by the lyrical beauty of the wonderful restorations, side by side with the haunting crumbling masterpieces, that are home to many people carrying on their everyday lives. The “official” post-revolutionary architecture is a combination of Soviet bloc non-descript concrete and really interesting modern design. Cuba’s art schools were lavished with architectural care, but deteriorated during the Special Period in the ‘90s. We saw an example of this when we visited Institute Superior de Arte (ISA), an art academy that has been rescued from the tropical climate and jungle encroachment. We're here. Our flight arrived on time at the Havana airport to beautiful weather. Low 80s and blue, sunny skies. We scooted through customs after a moderate amount of questioning and jumped in a taxi to make our way to the hotel. The drive to Toronto was great. As we got on 279 North toward Erie, all three of us basically said in unison, "Wow. What a day for a road trip." The sun was shining brilliantly and the road was almost ours alone. I’m not going to lie. I’m a little jealous. Next week, three lucky staff members are joining co-directors Barbara Luderowski and Michael Olijnyk for a week-long trip to Cuba. 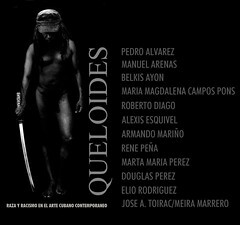 The occasion is the opening of Queloides/Keloids: Race and Racism in Cuban Contemporary Art at the Wifredo Lam Center for Contemporary Art in Havana. After the Havana run of the exhibition ends on May 31, several artists will travel to Pittsburgh to work in-residence and create new work for a Mattress Factory-produced Queloides/Keloids exhibition. 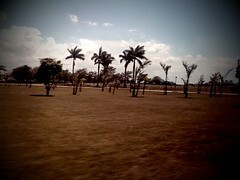 Traveling to Cuba is no easy task. As people are fond of saying in their best New England accent, “you can’t get there from here.” Due to the most enduring trade embargo in modern history, U.S. residents are prohibited from traveling to our island neighbor despite the 90 miles that separates Key West from the northern tip of Cuba. The Mattress Factory had to secure a special license from the U.S. Department of the Treasury to enable the group to travel. The third floor (home of Media/PR) has been a flurry of activity. Jeff, a member of the traveling delegation, will be blogging about the trip for the Pittsburgh Post-Gazette, so a quick visit with Sharon Eberson, paper’s online features editor, took place to iron out a few logistic details. Press releases are being written. A few extra meetings scheduled. Redundant systems are being established in anticipation of spotty internet access in Cuba. This morning I brought a bag of dark chocolate to the office to calm nerves. Wow. While this trip is an opportunity for staff members to begin preparations for the October show by meeting with artists and visiting their studios, it is also part of a long history of cultural diplomacy in which prominent arts institutions have engaged for years. In 1979 the Boston Symphony Orchestra performed in China at the end of the Cultural Revolution. In 1986, the National Gallery of Art and the Los Angeles County Museum of Art hosted a rare exchange of 41 impressionist paintings from the Soviet Union. Thirty-four paintings – including masterpieces by Matisse, Picasso, and Renoir – had never been shown in the United States. In 2004 the Mattress Factory presented its first exhibition of Cuban artists but was forced to coordinate the entire installation electronically over the internet. (Ask Owen about this some time.) The artists were not given permission to travel for their residencies. The guest curator for this show, Alejandro de la Fuente, Research Professor of History and Latin American Studies at the University of Pittsburgh, is trying again with Queloides/Keloids. If times do change, expect to welcome some of Cuba’s most renowned contemporary artists to Pittsburgh in October.